The last major artist of the 'ukiyo-e' school, Hiroshige is most famous for his series of landscape prints. This print typifies the sensitivity to nature and originality of composition for which he is famous. The Asian Collections, AGNSW, 2003, pg.255. 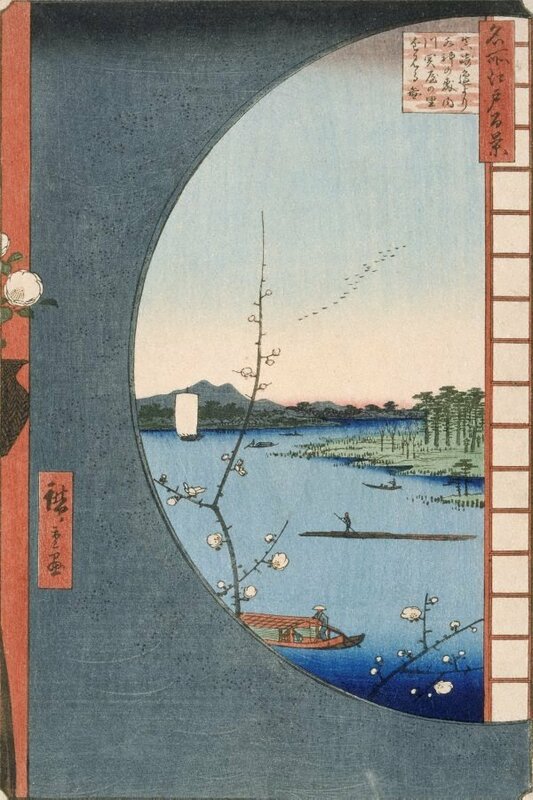 Signed l.l., in Japanese, ink, incised on block "Hiroshige ga" [picture by Hiroshige]. Not dated.